Fully recovered from their trip to the Todmorden Beer Festival last month, it is a return to Leeds, the city where they were originally set up in 2005, this week with the meeting to be held on Thursday 29th October. The meeting will start at 7:30 by which time the city should be clear of football supporters who will, by then, be at Elland Road, for the televised clash between Leeds and Blackburn. Four weeks later they will be in Halifax for the final meeting of another successful year for the supporters club. 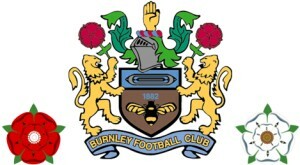 Should you require any further information on the West Yorkshire Clarets, wish to be added to their mailing list, or need further information on either of these two meetings, please drop them an EMAIL and they will send you the details you are looking for.